When I was around eight or nine my favourite toy was a dolls house. It was made of wood, had a front that opened right up, with working doors, windows and a roof that you could prop up too. I’ve had a search through my old photos but can’t find one showing it off sadly! It was fairly big so me and at least two other friends could play with it comfortably. A green felt roof concealed an attic playroom full of tiny little wooden toys, a rocking horse and a little push around car. The kitchen had tiddly little tables and chairs with a cooker and minuscule pots and pans too. Its previous owner (my mum bought it pre loved) had carefully wallpapered with floral wallpaper, and it even had little rugs in some of the rooms. I remember whiling away hours with that house, it was a boarding school, a stables, and a dancing school as well as being a regular school, all in my imagination of course! I asked my mum last time I saw her what happened to it, in the hopes that she would miraculously be able to unearth it, but sadly she thinks it went to another family whose mum she worked with once I’d stopped playing with it! I really hope they still have it and that their kids play with it now! I’m a huge fan of imaginative play for children, as one thing can become so many with just a sprinkle of imagination! 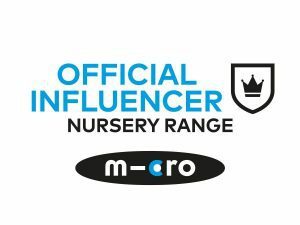 I’m really lucky that Athena gets the gist of imaginative play without me having to prompt her very much, I think this is mostly down to her time at nursery where they encourage free play and there is a whole host of role playing situations available to them! George at Asda asked if I would like to choose a toy for Athena (and Arlo too!) to become an Heirloom for them, one that they can play together with, make memories to remember once they’re older and to pass on to future generations if they choose to have children! I wanted something that would get used as much as possible and get them using their imagination as much as possible too! At first I thought the gorgeous wooden play kitchen would be perfect, but as it was out of stock I ended up choosing the ‘Cherry Shop & Cafe‘ and I am SO glad that I did, as in the short time it has been with us its been used as a Shop, spun round to become a cafe, a post office and as an arts and crafts area! Athena actually ate her breakfast at it too! It’s only £35 so a real bargain. 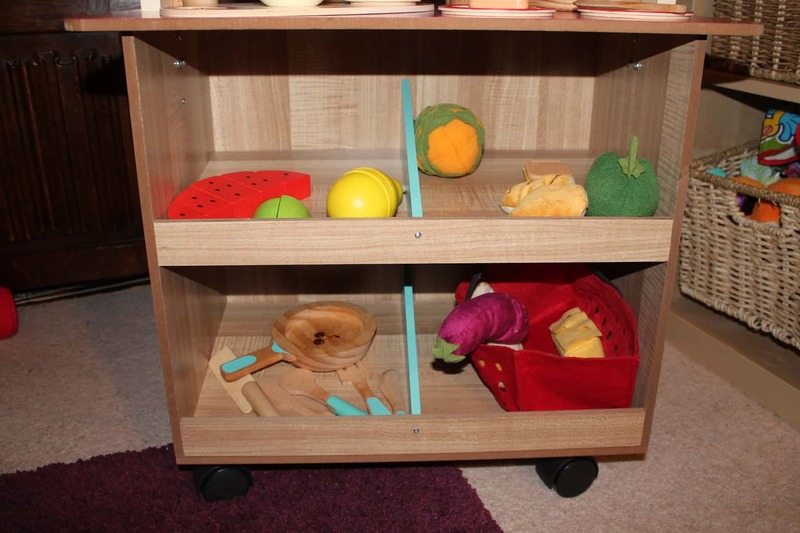 One side has a set of shelves with four compartments which we’ve filled with play food and crockery for when we’re playing cafes, and then spun round you can use this as the shelves in a shop! The three blackboard areas let you write whatever you fancy, in the future I can imagine it being all sorts of things! It’s got wheels too so it can easily be moved aside when needed, or maybe even turn into a hostess trolley or something! I’m really looking forward to seeing what else Athena & Arlo come up with in the months and years to come! We also got the wooden tea set and the cooking set to aid with play too, and being poured a cup of tea with milk from a tiny jug was the highlight of my day yesterday! George at Asda have many toys suitable for imaginative play in their toy range, I really love the whole wooden range, and once we’ve moved house and have a playroom I think I’d like to add the kitchen and the fire station to our collection! Wooden toys are always a big hit with me, they’re certainly more aesthetically pleasing than lurid plastic ones but they also last a long time and and more environmentally friendly too! We were sent our Shop & Cafe from George at Asda for the purpose of this post, all thoughts and opinions are my own.